The true essence of black metal is something that is truly up for debate. Opening this door on an internet forum usually results in anger, foul language, and above all an enjoyable read to those standing on the side line. To throw some more wood onto the fire that is this debate, I will briefly state my two cents on the essence of black metal. To me black metal represents a feeling, one that is difficult to describe to the unexperienced. It is not necessarily dark or evil or depressive, but rather touches something deep within. Something one tries desperately to hide every day. Every once in a while though, everyone needs to ventilate this feeling and this is where black metal does the trick better than anything else in this world. This is also what Murg captured brilliantly on their debut 'Varg & Björn' from 2015. The music was pure Norwegian 2nd wave black metal with focus on the guitar work in general and the riffs in particular. Hardly groundbreaking, but the music was simply awesome and represented my version of the essence of black metal perfectly. Few others manage to capture that particular feeling, but Murg found the way. Consequently, the expectations on 'Gudatall' were massive from those of us who actually managed to discover its predecessor. Compared to 'Varg & Björn' not much have changed. The riffs follow the same patterns; the vocals are similar. The only difference is slightly longer songs with more mid-tempo sections. Thus, it comes down to two things: does 'Gudatall' manage to capture the same feeling as its predecessor and is its music equally good? The first question is simply answered by a capital YES; the second is not so simply answered by a nearly. Some sections on 'Gudatall' feels like filler material, something that was strikingly absent on 'Varg & Björn'. I would still heavily recommend both Murg albums to every fan of 2nd wave Norwegian black metal though. In fact, any fan of black metal in general to be honest. 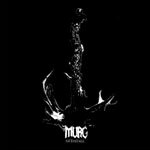 If you love black metal, you know what you are looking for in those darkest moments and Murg will surely do the trick. Ok, so that was my two cents on the essence of black metal. Now fire up your keyboards and give me everything you got while I fetch some popcorn and put on 'Gudatall'.